Bachelor’s Degree in political science and J.D. Michael Avenatti is an American attorney. He has appeared on broadcast television as well as in print as a legal commentator and representative for prominent clients including various celebrity defendants, high-ranking business executives, and Fortune 100 companies. He is also a professional race car driver, having participated in races in the United States and Europe. At various times, Avenatti has been criminally charged in a number of cases. He has also been sued in civil court several times. What is Michael Avenatti Famous For? An American Attorney and Entrepreneur Sacramento, California. Representing Stormy Daniels in her lawsuit against Donald Trump, a present president of the USA. Federal prosecutors in Manhattan and Los Angeles charged attorney Michael Avenatti nearly simultaneously in two criminal cases Monday, unsealing complaints that alleged he attempted to extort more than $20 million from Nike and that he committed wire and bank fraud. Minutes after the news about the New York charges broke, federal prosecutors in California charged Avenatti in a separate case involving wire and bank fraud - charges that could bring a maximum sentence of 50 years in federal prison. The California complaint alleged he "embezzled a client's money in order to pay his own expenses and debts - as well as those of his coffee business and law firm - and also defrauded a bank by using phony tax returns to obtain millions of dollars in loans." "As all of you know, for the entirety of my career I have fought against the powerful - powerful people and powerful corporations. I will never stop fighting that good fight," Avenatti told reporters outside the Manhattan courthouse Monday, declining to take questions. "I am highly confident that when all of the evidence is laid bare in connection with these cases, when it is all known when the due process occurs, that I will be fully exonerated, and justice will be done." The American attorney was born in Sacramento, California as Michael John Avenatti. His father worked as a manager for Anheuser-Busch. However, the identity of his parents is hidden from the public. Michael is an American by nationality and belongs to White ethnicity/race. Moving on to his early life, the attorney spent most of his early childhood in Colorado and Utah. However, he later moved to Chesterfield, Missouri along with his family. As for his academic qualifications, he attended Parkway Central High School in 1982. Furthermore, he later joined Saint Louis University for a year in 1989. Later, however, Michael transferred to the University of Pennsylvania in 1990. From there, the attorney graduated with a Bachelor’s Degree in arts with a political science major in 1996. Michael later joined George Washington University Law School. From there, he graduated with Order of the Coif and first in his class with a J.D. in 2000. While in college and later in law school, Avenatti worked at The Research Group, political opposition research, and media firm run by Rahm Emanuel (later White House Chief of Staff for President Barack Obama, and Mayor of Chicago). Avenatti worked on over 150 Democratic and Republican campaigns in 42 states while studying at George Washington University. 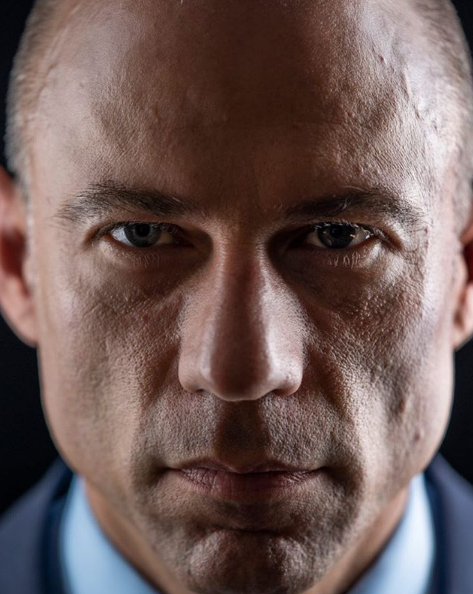 After law school, Avenatti worked at O'Melveny & Myers in Los Angeles, California, alongside Daniel M. Petrocelli, who previously represented the Ron Goldman family in its case against O.J. Simpson. He assisted Petrocelli on multiple legal matters, including the representation of singer Christina Aguilera and litigation surrounding the movie K-19: The Widowmaker, and worked extensively for Don Henley and Glenn Frey of the musical group the Eagles, including in a suit brought by former bandmate Don Felder against the group and Irving Azoff. Avenatti later joined Greene Broillet & Wheeler, a Los Angeles boutique law firm. While there, he handled a number of high-profile cases, including a $10 million defamation case against Paris Hilton which was resolved amicably by the parties before going to trial, settled an idea-theft lawsuit relating to the show The Apprentice and against producers Mark Burnett and Donald Trump, and a $40 million embezzlement lawsuit involving KPMG. In 2007, Avenatti formed the law firm Eagan Avenatti, LLP (formerly known as Eagan O'Malley & Avenatti, LLP) with offices in Newport Beach, Los Angeles, and San Francisco, California. He has since appeared on 60 Minutes three times in connection with cases he has handled. Avenatti has also served as lead counsel on a number of historically large cases, including an April 2017 $454 million verdict after a jury trial in Federal Court in Los Angeles in a fraud case against Kimberly-Clark and Halyard Health, later reduced to a $21.7 million verdict upon appeal, an $80.5 million class-action settlement against Service Corporation International, and a $41 million jury verdict against KPMG. In 2013 Avenatti formed a company, Global Baristas, to buy Seattle-based Tully's Coffee out of bankruptcy. Avenatti first formed a partnership with actor Patrick Dempsey, but Dempsey later backed away from the venture after a short legal battle that resulted in a settlement. Since 2015, Global Baristas has been named in more than 50 lawsuits in state and federal courts for breach of contract, unpaid bills, and unpaid taxes. In 2015, Avenatti prevailed against the National Football League (NFL) following a jury trial in Dallas. He later pursued a class-action suit on behalf of fans who showed up for Super Bowl XLV with tickets that didn't correspond to actual seats but the courts in Texas declined to certify the class. In 2016, Avenatti filed another class action lawsuit against the NFL, this time on behalf of ticket-holders to the annual Hall of Fame Game, which was canceled a few hours before kickoff. In 2017, a Florida man named Gerald Tobin alleged Avenatti failed to pay him $28,700 for private investigatory work. As a result, Avenatti's firm was abruptly forced into bankruptcy. In various news reports, including work done by CNN, Tobin was found to be an ex-con with four decades of convictions and jail time and not a licensed investigator. Tobin's claim forced Avenatti to cancel a deposition in an unrelated lawsuit days later, raising the question of collusion between Avenatti and Tobin. The issue was resolved when the pair entered into a Non-Disclosure Agreement, and Avenatti paid Tobin the $28,700. In November 2018, a few days after his arrest on suspicion of domestic violence, Avenatti's law firm was evicted from its office in Newport Beach after skipping $213,000 worth of rent payments. 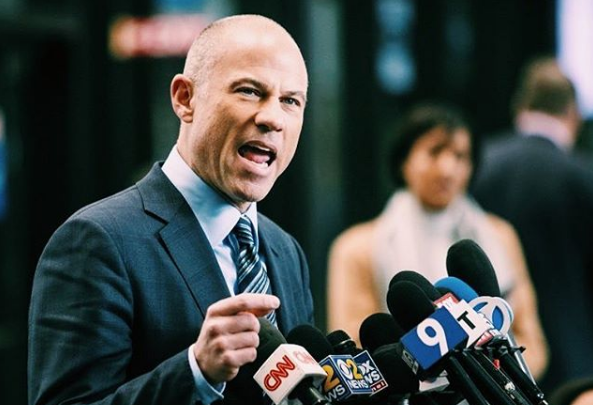 In January 2019, a former client filed arbitration against Avenatti, alleging misuse of settlement funds Eagan Avenatti LLP had received in trust. The attorney received the honor of an award being named after him. The award is known as Michael J. Avenatti Award for Excellence Pre-Trial and Trial Advocacy. Moreover, he later received the prestigious Alumni Recognition Award in 2010. Is Michael Avenatti a Married Man? No, Michael Avenattti isn’t a married man anymore, however, the attorney married twice in his life. But, he recently broke up with his actress girlfriend Mareli Miniutti when she accused him of domestic violence. Moreover, they arrested the attorney on a felony of domestic violence charges in November 2018. During the lawsuit, Mareli abused the attorney verbally and pushed her on a number of occasions. Furthermore, the actress gained a restraining order against Michael for her behavior. Moving on to Michael’s side of the story, he vigorously denied the accusation. Besides, he claimed the accusation is completely bogus and fabricated. He stated that his reputation is the target and he will be justified. The attorney’s ex-wives came to the rescue when they stated that he was never an abusive person in their relationship. Michael Avenatti married former wife Christine Avenatti Carlin for 13 years. Although he kept his past affairs pretty well hidden, we speculated that they tied the knot in the late ’90s. Furthermore, the ex-couple shares two daughters but all we know for now is they’re both teenagers. In 2011, the attorney married Lisa Avenatti née Storie. Furthermore, the duo lived in a lovey-dovey relationship as a husband and wife for six years. However, Lisa Storie-Avenatti filed for divorce in December 2017. During their six years of marital life, the pair gave birth to a son. How Much is Michael Avenatti Net Worth? In his legal career, the attorney has won over $1 billion in judgments for his clients. Many records put his net worth at $65 million dollars. He mostly earns his wealth from high profile lawsuits as well as his career as a professional racer. Moving on, the average earning of a high profile attorney is $17 Million per year. Furthermore, as long as Michael’s been in the field, he must be earning more than average. Michael also pays spousal and child support to his ex-wives. However, he hasn’t disclosed how much he pays to his first wife. But he currently pays his second wife Lisa $80k as child support. Apart from that, he transferred several assets as well as five luxury wristwatches valued near $50k each to his ex-wife. His ex-wife also received Ferrari 488 GT Spider lease and his law firm’s share of a 2016 Honda private jet. Moving to his legal issues, he recently received a bail of $50k after police arrested him for domestic abuse. In contrast, he keeps denying the charges and claims it as a fabricated accusation to harm his reputation. Michael Avenatti hasn’t confirmed if he is running for president. However, he did play with the idea of running for President on a number of occasions through his Twitter account. Moreover, in an interview with CBC, he stated he would run in the 2020 election only against President Donald Trump and Michael Richard Pence. And in October 2018, Michael said in an interview with CNN, that he hasn’t announced his run yet. However, he might change his mind in the future after he travels around the country. Moreover, he also added that he is really encouraged by the people’s reaction to him. Michael released his first political ad on November 1st, 2018 urging Americans to vote on November 6th. However, he later announced he will not be running for president in 2020 due to his respect for his family. Currently, politicians including President Trump, Andrew Yang, Pete Buttigieg, Elizabeth Warren, Julian Castro, Kirsten Gillibrand, John Delaney, and Tulsi Gabbard have already started their journey as a Presidential candidate. The race for the presidency has started. Now, let’s see who the winner will be! Observing his body statistics, he stands a height of 5 feet 9 inches and weighs around 70 kg. Similarly, he has a pair of blue eyes and greyish-white hair color. His body measures 38-28-35 inches. Furthermore, his shoe size is 9 (US). During his college, he also worked for Rahm Emmanuel's political consulting firm as an opposition researcher. The lawyer also worked with Professional Jonathan Turley on constitutional issues relating to the Foreign Intelligence Surveillance Act (FISA). His estimated net worth is $ 65 million dollars whereas his annual salary was $ 17 million dollars as of 2019.